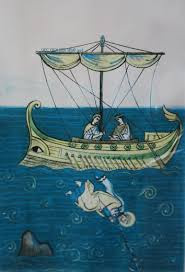 Image: A depiction of the martyrdom of Clement of Rome by being tied to an anchor and thrown into the sea, during the time of the Emperor Trajan. I have recorded and post WM 113: Clement of Rome to sermonaudio.com (listen here). In this episode I review 1 Clement, a work attributed to the Apostolic Father, Clement of Rome (and perhaps the Clement mentioned in Philippians 4:3 by Paul). 1. A call for unity in the face of disunity at Corinth (chapters 1, 14, 21, 40, 44-47, 54, 57, 63). 2. Recalling the examples of Peter and Paul (chapter 5). 3. Concerning the resurrection (chapter 24; cf. 1 Corinthians 15). 4. On justification by faith and good works (chapters 32-33). 5. On the church as a body (chapter 37; cf. 1 Corinthians 12). 6. On church government: bishops and deacons (chapter 42). 7. On the Trinity (chapters 46, 58). 8. On "love" in the church (chapter 49; cf. 1 Corinthians 13). 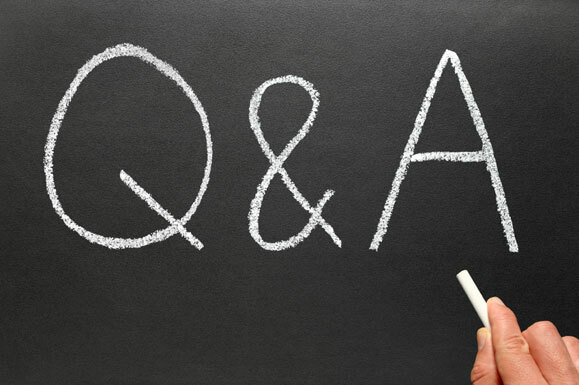 I have posted WM 112: Q & A on Text Topics to sermonaudio.com (listen here). I recorded it on Saturday evening (12.30.18) but just got around to uploading it this morning. In this episode, I respond to recent questions on text topics received by text and email. Of how much use would a fresh translation into English of the TR with explanatory footnotes or alternative translations, as well as grammar and syntax explanations, designed for the use of ministers who hold to the confessional text position (particularly those who struggle with Greek) to use in sermon preparation be? Would this be a worthwhile endeavor? It would not be meant for a translation to use in public preaching and teaching or to replace existing translations but to compliment them and shed extra light on them. On a new TR translation I’d be hesitant. We already have modern translations generally following the traditional text like the NKJV and MEV. These seems sufficient. I’m not sure we could or would want to limit a translation to the use of ministers. For teaching elders, they need to be encouraged to study and learn the Biblical languages to use in their pulpit and lectern ministries. I need some help from someone who is more knowledgeable than I on textual matters. I listened to several of your Word Magazines after I corresponded with you some time ago, and I appreciate your scholarly work. Some questions have come up (from one whose ear James White has) that I hardly know how to answer. I will paste three paragraphs from recent emails (see below)…. If you have any insight, it would be greatly appreciated. If there is source material to which you can point, that would be fine. I know you are busy, so I am not asking for a lengthy answer. Thanks for your help. There are more than 30 TR's. None of them exactly follow any Greek manuscript perfectly. They were all eclectically put together by incorporating variant readings from different places. So for you to hold that any of them are the exact Word of God requires you to say that whoever did the compiling of that particular one did a perfect job. The Stephanus 1550 TR deviates from the "majority reading" (aka the "Byzantine text") a full 1,838 times. So you have to have 100% confidence that every single one of those times, the people compiling the TR made the right decision. Response: Yes, the TR is an eclectic text (as is the modern critical text). Are you opposed to "reasoned eclecticism"? If so, you not only reject the TR but the modern critical text also. Yes, this means the TR is not based on any single NT ms. I know of no current printed Greek text which does this. The closest is W. Pickering's printing of a text based on Family 35 mss. Yes, the TR deviates from the "Byzantine." We do not believe that the Byzantine/Majority is the authentic text. Yes, I trust that God was providentially at work during the Reformation era and the technological revolution of the printing press to preserve his word (see WCF/2LBCF-1689, chapter one, paragraph 8). I feel much more confident trusting men of this era (Stephanus, Calvin, Beza, etc.) and their judgments than I do the editorial decisions of modern editors. Allow me to turn the question around: If you accept the modern critical text (like the NA28) does this mean that you have 100% confidence that they are right? So, you are absolutely sure they are right on Mark 16:9-20; John 7:53--8:11, 2 Peter 3:10, etc.? No edition of the Greek New Testament agreeing precisely with the text followed by the KJV translators was in existence until 1881 when F. H. A. Scrivener produced such an edition (though even it differs from the King James Version in a very few places, e.g. Acts 19:20). It is Scrivener's 1881 text which was reprinted by the Trinitarian Bible Society in 1976. This text does not conform exactly to any of the historic texts dating from the Reformation period and known collectively as the textus receptus. Response: Though they are related, we need to distinguish between the development of the printed editions of the TR and the KJV translation. I am not defending KJV-Onlyism but preference for the TR as a standard Greek text for the NT. For example, the KJV was done in 1611 but the Elzevir printing of the TR whose blurb coined the term "TR" did not appear till 1633. Scholars are still unclear as to all the sources to which the KJV translators had access. The Scrivener edition preface explains that it "follows the text of Beza's 1598 edition as the primary authority." You cite Acts 19:20 where Scrivener reads ho logos tou kuriou (literally: "the word of the Lord") but the KJV reads, "the word of God." There are two possibilities; First, the KJV translators had a ms. that read ho logos tou theou and followed it (and Scrivener overlooked this). Second, the KJV translators took the liberty of translating kurios here as "God" (and Scrivener assumed this). In the KJV preface the translators explain that they do not always render the same original word with the same English word but variety is applied. It is one of the hallmarks of the KJV as a translation. Do we have a full Greek New Testament that we have 100% confidence is the exact Word of God to the last jot and tittle? If so, which of the 30+ TR versions is it, and why that one? Response: I agree we could use a "critical edition" of the TR. For now, I see no problem with Scrivener's which is the most widely available printed edition on the contemporary market, especially if one preaches from the Geneva, KJV, NKJV, or MEV. Let's not exaggerate the differences between the printed editions of the TR. They all include Mark 16:9-20 and John 7:53-8:11 without brackets. They all include the doxology of the Lord's Prayer (Matt 6:13b). They all include the CJ (1 John 57b-8a). Etc.... I also find this objection disingenuous given that the alternative is to embrace the ever-shifting modern critical text. I might turn this around: Which modern critical text do you embrace? NA 26? NA 27? NA 28? Or are you waiting for the NA 29? NA 30? What about the Greek NT SBL Edition (2010) or the Tyndale House Greek NT (2017). Which of these do you think is the Word of God? The truth is that the modern critical method never promises to arrive at a fixed text. It assumes permanent epistemological uncertainty as to the text. This is why I prefer to TR. Hello Pastor I really enjoy your podcast. I was wondering if you have ever thought about having Peter Gurry on the podcast. He is very active on Twitter and seems to love to talk about textual criticism. Thanks for you note. Sorry to be so long in getting back. I was out of town for Christmas. I'll take your suggestion on Gurry into consideration. I've had some interactions with Peter and find him a person of good will (see here). As I understand him, PG has some views that are somewhat encouraging (e.g., he holds Mark 16:9-20 as part of Scripture, but he does not believe it is Markan). He is also reading/studying right now the Reformation era writers on text which may be challenging some of his modern critical assumptions, but unless he has undergone some significant recent changes of view I believe he is still a pretty hard-core modern text advocate. PG recently put a post with a link to my review of the THGNT on the Evangelical Text Criticism blog (read here) and it was interesting to read some of the responses to it. I saw that Covenant Baptist Seminary in Owensboro, KY is having James White teach an upcoming “January Module” on “Reliability of New Testament Documents & Textual Criticism.” I am disappointed that students in this class will be exposed to modern criticism and not the confessional text position. Are there any RB seminaries that are willing to teach the confessional text position? Thanks for letting me know about this. Yes, interesting that JW is doing this. Most evangelical and even Reformed seminaries and Bible colleges continue to hold to the reconstructionist view of modern text criticism, so, in some ways, this choice is not surprising. JW is well known and will likely attract students to enroll. I think the confessional text view is actually beginning to appear on the radar screen for some in this field but, unfortunately, I would not count of JW, from what I’ve heard so far, to be relied upon properly to understand or fairly represent it. Note: Devotion take from last Sunday's sermon on John 16:29-33. These things I have spoken unto you, that in me ye might have peace. In the world ye shall have tribulation: but be of good cheer; I have overcome the world (John 16:33). In the upper room Christ prophesied that when he went to the cross the disciples would be “scattered, every man to his own, and shall leave me alone” (John 16:32). He explains: “These things I have spoken to you, that ye might have peace” (v. 33; cf. John 14:27). First, there is the foundational peace of salvation: “Therefore being justified by faith, we have peace with God” (Rom 5:1). Second, there is the peace of sanctification: “And the peace of God, which passeth all understanding, shall keep your hearts and minds through Christ Jesus” (Phil 4:7). Finally, Christ says, “In the world ye shall have tribulation….” (v. 33b). This is what Christ’s disciples will experience in this present evil world. They are not exempt from suffering, but, quite the opposite, they will be prone to it, because they will elicit the world’s hostility (15:19). Word art is popular at this time of year. 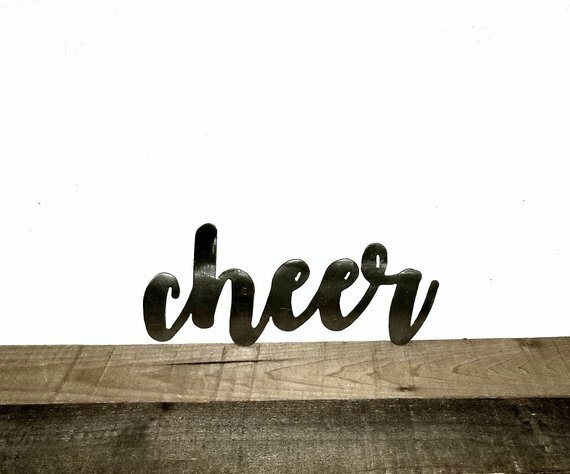 My guess is that you could go into more than one craft or home furnishings store and find a plaque that says, “Believe” or “Peace” or “Cheer.” But what do any of these things mean apart from Christ? What content do they have apart from Christ? They are empty of meaning and vain utterances unless they speak of Christ. Believers can indeed be of good cheer, whatever our circumstances, because we know that Christ has overcome the world. Text Note: Luke 2:14: "good will toward men" or "toward men of good will"? What is the song of the heavenly host in Luke 2:14 at the birth of Jesus? Do they announce: “Glory to God in the highest, and on earth peace, good will toward men [en anthrōpois eudokia]” (as in the KJV) or “Glory to God in the highest, and on earth peace among those with whom he is pleased [en anthrōpois eudokias]” (as in the ESV). As Metzger rightly observes in his Textual Commentary, the difference between the KJV and modern renderings of Luke 2:14 “is not merely a matter of exegesis of the meaning of the Greek, but is first of all one of text criticism” [This and quotes from that follow from Metzger, 111.]. The difference is one letter in one word. Does the text read eudokia (nominative) or eudokias (genitive)? The difference is one letter, a final sigma. Do the angels announce “good will [eudokia] toward men” or do they announced peace on earth “toward men of good will [eudokias]”? The traditional reading clearly takes eudokia as referring to the divine good will. It expresses a call for both peace and divine good will on earth, alongside glory to God in heaven, at the birth of Christ. The modern translations based on the modern critical text’s genitive reading (eudokias) seem uniformly to assume that “good will” here also refers to the divine good will, and that it is particularly applied to men who are among the elect of God. Metzger further notes that before the Dead Sea scroll discoveries the phrase “men of [God’s] good pleasure” was considered “an unusual, if not impossible, expression in Hebrew.” The discovery of several Qumran hymns in the DSS which seem to have a similar phrase, however, has buttressed the argument in favor of the Semitic background for this phrasing. Overall, we can observe that this slight textual difference raises important theological questions about election. First, does the traditional reading reflect a more universalistic viewpoint: “good will toward (all) men (without exception).”? Not necessarily. The “men [anthrōpoi]” here could be a reference to the benefits that generally come to humanity through the incarnation (cf. John 1:9 which describes Christ “as the true Light, which lighteth every man that cometh into the world.”) or it could refer to the universal scope of electing grace, in that it encompasses all kinds of men: Jews and Gentile, male and female, slave and free. The external evidence for the modern critical reading does not seem to be particularly strong. It appears in only five Greek uncial mss., though some of these are very early, dating to the fourth century. There is no supporting papyri evidence. It also does not have strong support from the early versions, other than the Old Latin. The traditional reading, though not in the earliest uncials, does have some uncial support and became the dominant Majority reading in the minuscules and versions. Early correctors amended Sinaiticus and Vaticanus to conform. A plausible argument can be made on internal grounds for the originality of the traditional reading (see above). The modern critical reading opens the door for an interpretation (though not one reflected in the current popular modern English translations) that would reflect a conditional view of election (i.e., “toward men of good will”) that could be theologically questionable. In the end (and, no doubt, to no surprise of my regular readers), I think it is safest to continue to affirm the traditional reading. For earlier posts, see part one and part two. Calvin “characterized the being of the church by a single word which was applied to it from the earliest times; the church is our mother” (186). Calvin: “Of the true church, with which we strive to be at one, since it is the mother of all the pious” (186; Inst. 4.1.1). “Anyone who sees in Calvin the author of all centrifugal tendencies in church life shows that he has not read a single line of him” (196). “But whether the church is a true church or not cannot be decided by the moral condition of its life; it must be decided solely by asking whether it preaches the Word” (198). “Calvin did not include the fact of the exercise of church discipline among the signs by which the true church may be recognized. Here again the Christocentric direction of his theology becomes clear. The reality of the church depends not upon our standards, even though they may have been commanded us, but solely upon the work of Christ accomplished towards us and within us through Word and Sacrament. Yet Calvin maintained that the existence of the church can hardly be preserved apart from the exercise of discipline” (199). Calvin: “As for the outward details of the action, whether believers should take the bread in their hand or not, should distribute it among themselves or whether they should eat the portion just as it is given to him, whether they should hand the cup back to hand of the deacon or pass it to their neighbor, whether the bread should be leavened or unleavened, whether red or white wine should be used—all this is of no importance. These things are merely material instruments about which we can decide freely” (Inst. 4.17.43; as cited on 206-207). Niesel: “Under no cirumstances must we idolize what are after all simply the forms of worship” (207). “Now and then it is even good if complete uniformity does not prevail ‘so that it may be manifest that the Christian faith does not consist in such matters’” (207). “The fellowship with the divine… is real fellowship not fusion” (226). Calvin: “Even if we lived under Turks, tyrants, or deadly enemies of the gospel it would still be incumbent upon us to be subject to them? Why? Because it is the good pleasurer of God” (239). For Calvin, even the worst tyrant “‘is better than no order at all.’ It is better and more profitable than anarchy” (242). Calvin: “If it is possible for us to live in a place where God is truly honored and worshipped, then it is by far better to live in exile than to remain in the fatherland from which Christ the King of heaven and earth has been banished” (as cited on 245). Niesel: “In this sentence there resounds once again the theme of Calvin’s whole life and work. It is the name of Jesus Christ” (245). “Jesus Christ controls not only the content but also the form of Calvinistic thought” (247). Calvin on the relation between justification and sanctification: “Just as Christ cannot be torn asunder, so these two benefits which we receive in Him both simultaneously and in conjunction (simul et coniunctim in ipso) are not to be separated from one another” (249). Last line of book: “…the structure of Calvin’s thoughts is dependent on the Chalcedonian definition and so on the living fact of divine self-revelation” (250). Note: Devotion taken from last Sunday's sermon on John 16:17-28. And ye now therefore have sorrow: but I will see you again, and your heart shall rejoice, and your joy no man taketh from you (John 16:22). Alongside this sober reality, there is also a promise: “but I will see you again, and your heart shall rejoice, and your joy no man taketh away from you.” The original disciples would indeed be filled with joy when they saw the risen Jesus, and contemporary disciples continue to experience joy (deep gladness in Christ despite whatever external circumstances) through Christ. It has sometimes been said that no one can rob a Christian of his joy. That comes from this verse. No one robbed Paul of his joy when he was cast into prison (Phil 4:4). The joy of the believer is here deeply connected with the assurance of his salvation. Just as no man can ever pluck the believer from the Father’s hand (John 10:29) and just as nothing can separate him from the love of God which is in Christ Jesus our Lord, whether death, life, angels, principalities, powers, things present or things to come (Romans 8:38-39), so no one or no thing or no circumstance can rob the believer of the joy of his salvation. The value of the joy is greatly enhanced by its perpetuity; for it follows that the afflictions are light, and ought to be patiently endured, because they are of short duration. By these words Christ reminds us of what is the nature of true joy. May the Lord continue to give his saints perseverance in sorrows and enduring joy. For part one, look here. “Again and again we find in the writings of Calvin the image of incorporation in Christ. He lays all possible stress upon that as the essence of salvation” (125). On sanctification, for Calvin, “progress is properly the recognition of our lack of progress” (129). “Calvin placed his doctrine of regeneration before his doctrine of justification in order from the start to forestall the objections of Romanist theologians. To be righteous in the sight of God solely by faith—that was the message of the Reformation (130). “We must distinguish between justification granted to man in his estrangement from God and the justification which the believer needs during his lifetime. Hence there is a justification which pays no regard to the works of man and a justification in regard to which works are considered as the fruits of faith (135). “The effect of our incorporation into Christ is so great that we are justified in our being as a whole, and thus our deeds become acceptable to God for Christ’s sake” (136). “It has been objected that Calvin simply juxtaposes the doctrines of justification and sanctification without setting them in immediate relation to each other. This criticism does not reflect upon Calvin so much as on the theologians who have expressed it and still do express it” (137). “…Christ makes no one just whom He does not also make holy” (137). Calvin coined the epigram: “Man becomes happy through self-denial” (144). “Calvin preaches neither pessimism nor optimism but calls us inexorably to the imitation of Jesus Christ” (151). 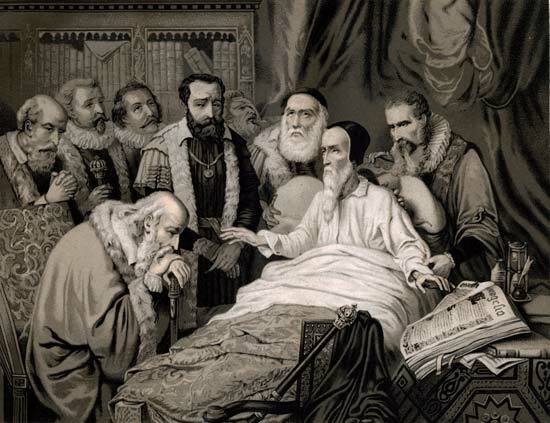 Calvin’s definition of prayer: “Prayer is none other than an expanding of our hearts in the presence of God” (152-153). “The sphere in which prayer is properly exercised is the church” (156). In the Institutes, “Calvin gives instructions about prayer rather than a doctrine of prayer” (156). “There is no prayer without the firstfruits of the Spirit, i.e., without communion with Christ. But then it is also true that we cannot belong to Christ and abide in Him without constant prayer (158). 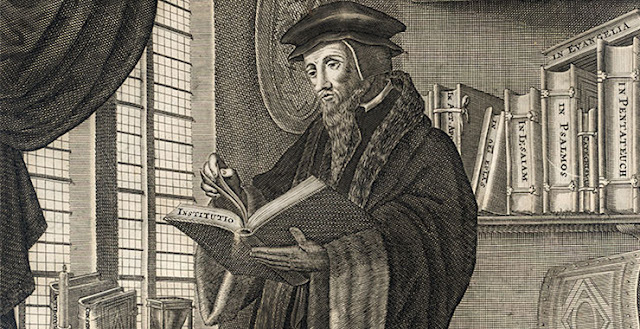 On assurance and the “Syllogismus practicus”: Calvin “concedes that our works can be for us signs that we are in a state of grace, provided that we have first assuredly and sufficiently recognized our salvation to lie in the Word of God and in Christ” (174). On Calvin’s exegesis of 1 John 3:14: Works are not “the real foundation of our salvation” nor “the ground of our recognition of it” (175-176). “Nowhere does Calvin teach the Syllogismus practicus” (178). Note: For a critique of Niesel’s view of Calvin on the practical syllogism, see Joel R. Beeke, The Quest for Full Assurance: The Legacy of Calvin and His Successors, pp. 65 ff. Note: Devotion taken from last Sunday's sermon on John 16:1-16. And when he [the Comforter] is come, he will reprove the world of sin, and of righteousness, and of judgment (John 16:8). Howbeit, when he, the Spirit of truth, is come, he will guide you into all truth (John 16:13a). He shall glorify me (John 16:14a). In the upper room before he went to the cross, Christ promised to send to his disciples the Comforter, the Holy Spirit, and he explained what the ministry of the Holy Spirit would be during the time between his ascension and his glorious coming. First, the Spirit will reprove the world of sin (v. 9). Notice how sin is defined. No vice list is given: lust, excessive anger, envy, stealing, murder, etc. The prevailing sin, the King Sin, is unbelief. Second, the Spirit will reprove the world of righteousness (v. 10). Righteousness here refers to the righteousness of Christ. The Spirit will show that the Lord Jesus Christ was an altogether righteous, just, and upright man. Correspondingly, it declares the unrighteousness of the world and makes plain their need for Christ. Third, the Spirit will reprove the world of judgment (v. 11). I think Christ is here saying that the Spirit will bring unbelievers to understand that apart from Christ they are held under the sway or judgment of the prince of this world, blind in unbelief (John 14:30; 2 Cor 4:4). We turn from the Spirit’s work among those in the world (evangelism) to his work among the apostles and all believers (edification and sanctification). The first application is to the Spirit’s guiding of the apostles, especially in writing the Scriptures. Secondly, it is applied to the Spirit’s guiding of all believers. The Holy Spirit is called here “the Spirit of truth” (cf. 14:17; 15:26). The Spirit points men to Christ who is the way, the truth, and the life (cf. John 14:6). Have you ever used a guide to take you to explore some natural wonder? Or to show you the hidden sites of some city? The Holy Spirit is our guide to living the Christian life. He takes us to what is most important. He directs us away from danger and toward that which is holy, good, true, just, and beautiful. We have seen the ministry of the Spirit to the world, to believers, and now to Christ (which is also related to the ministry to believers). The work of the Spirit in believers will lead them to glorify Christ, to give him glory, to give him “worth,” to worship him. Let us then look to the work of the Holy Spirit to reprove unbelievers, guide believers, and glorify Christ.